The total population of Bulgaria stands at over seven million. 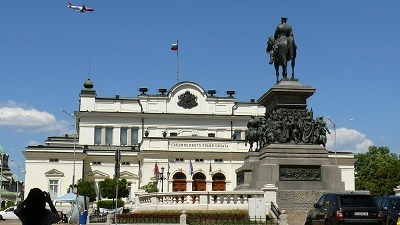 Bulgaria’s capital, Sofia, is the centre of trade, business, cultural institutions and major universities in the country. It is also the twelfth most populated city in the European Union. Expats hoping to work in a local company will find higher chances there, though given the country’s 7% unemployment rate amid the economic downturn in Europe. Those on assignments, however, will have little to worry about with low cost of living and taxes. 1. It boasts some 1330 years of history. Officially established in 681 AD, Bulgaria is over a millenium years old. Those who are fascinated by history will feast over the National Ethnographic Museum's wide archeological collections that reflect the traditions, crafts, lifestyle and arts of the Bulgarian people. 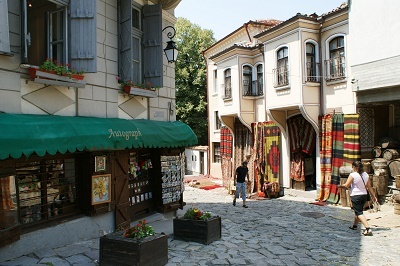 Be sure to check out this list of historical “seven wonders” to visit, including Plovdiv, one of the oldest cities in Europe! 2. There is no yogurt like the ones in Bulgaria. None. The yogurt in Bulgaria is made with a specific bacteria named Lactobacillus Bulgaricus. As the name suggests, it can only be found within the country. Yogurt elsewhere is commonly made with artificially-cultivated Lactobacillus Bulgaricus or other types of bacteria but there is no doubt that it never tastes quite the same. The locals LOVE their yogurts and you can see countless varieties of it almost everywhere. Some have credited the Bulgarians’ reputation of living to a ripe old age to their habit of consuming healthy yogurts – try it for yourself! 3. You will thank the world for their roses. Roses are Bulgaria’s national pride, period. Not just any rose, but oil-bearing ones. Seeing that Bulgaria produces 85% of the world’s rose oil, you can imagine the roses’ importance to its export business. Is it in high demand? The answer is, yes – it is a vital ingredient for most perfumes and cosmetics we use! What will we ever do without them? If you ever step foot into the Rose Valley, a region at the heart of Bulgaria near the cities of Kazanlak and Karlovo, you will be greeted with the most stunning rose fields, thanks to the country’s perfect climate conditions. The locals celebate the Rose Festival on the first weekend of every June with folk sing-and-dance, street parades and rose-picking. A beauty pageant is also held to crown the “Queen Rose”. 4. Innovation and sportsmanship are everywhere. The Cyrillic alphabet, used by over 50 languages among Slavic nations such as Russia, was invented by two monks, Cyril and Methodius, during the First Bulgarian Empire in the 10th century. They are celebrated on Saint Cyril and Methodius Day, 24 May, in Bulgaria. In Macedonia, they were honoured on Slavonic Enlighteners' Day, a national public holiday in November. The world’s first computer, first digital wristwatch, first Penicillin, first air-dropped bomb, first airbag were just some of the things invented by Bulgarians. Bulgarian hurdling athlete, Yordanka Donkova’s, and high jumper, Stefka Kostadinova’s world records have not been beaten for almost three decades. 5. All religions are embraced. Bulgarians have traditionally been Christians since they accepted the Constantinople Christianity in 865 AD. However, it was Islam that first sought to establish itself in Bulgaria during the Ottoman rule. Roman Catholicism, meanwhile, has been around in the country since the Middle Ages while Protestantism claimed its share of religious followers only in the 1900s. Despite the multi-religious culture of Bulgarians, never has there been any confrontation among the different faiths. In fact, standing in the capital, Sofia is an archaic Eastern Orthodox Church, Catholic Church and an Islam Mosque, few meters away from one another. It is regarded as the "Triangle of Religious Tolerance," a title that couldn't be more apt. The government itself is a staunch campaigner for freedom and equality, both of which are inherent citizen rights laid out in the Bulgarian Constitution. 6. It has much to offer in the great outdoors. Sharing borders with Serbia, Macedonia, Greece and Turkey, this Balkan nation’s terrain is composed of mountains, rivers and the vast Black Sea coastline. Interestingly, it possesses Europe's second largest river and almost a third of Bulgaria make up of forests. It has two major mountain ranges, the Balkan Mountains and the Rhodope Mountains, as well as smaller ones such as the Rila and Pirin mountains. Though small in area, Bulgaria ranks third in Europe in biodiversity, with a large number of rare and endemic species. Bulgaria, with over 200 mineral springs, has the second most of it in Europe. A visit to one of its spa centres here is certainly a great way to relax after a day of hard work. Soak in the thermal baths and take in the benefits of the healing waters. 7. There is no shortage of wine and cheese. Western expats, rejoice! Though nothing compared to the world’s biggest winemakers, Bulgaria does produce a sizable amount of wine. If that is not enough, try so of their very own alcohol beverage, Rakia. While it is also fermented like wine, fruits other than grapes, such as pears and peaches, can also be used to make it. Rakia is often paired with Bulgaria’s traditional salad, Shopska, of which you will find lots of white cheese within. The variety of cheese available in the country is arguably on par with Greece. People in Bulgaria are naturally akin to their native language and seldom speak English. Their official language is Bulgarian, which may be classified as Indo-European and is a member of the Slavic linguistic group. Although Bulgarian is grammatically unique, it can be interchangeably used with the Macedonian language. Before you get confused, heed our warning on not trusting their meaning of nods. For them, it works in reverse – a nod indicates a negative response. However, certain locals may try to adjust to the common body language of foreigners, making you unsure which they are following so be sure to always clarify. The locals are very hospitable. Take part in their traditions and make an effort to integrate, and you will build new friendships in no time. For example, on 1 March, when everyone welcomes spring on Baba Marta Day, give the locals a “Martenitsa” made of red and white thread for good luck. Little gestures count! Expats may generally choose to leave their belongings back home or have them shipped to their new country of residence. To bring one's possessions to Bulgaria, documents will be required such as a copy of the expat's passport, an original Work Permit, a Residence Permit to be issued by the Ministry of Interior, proof of relocation through a letter from the expat's employer, a letter of attorney and a complete inventory of all items in English. There will be some restrictions on certain items for shipment, including machinery and equipment, liquor and plants for which a Certificate of Health from the Ministry of Agriculture will be needed. Banned items include firearms, drugs, tobacco products and dangerous chemicals and substances. Those bringing in vehicles will be required certain documents including the shipper's visa, proof of ownership, Foreign Registration Card and a driver's license. For each family that comes to Bulgaria, one vehicle may be shipped duty-free. 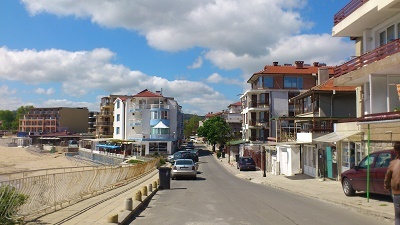 In general, household goods may be shipped to Bulgaria within three months from the owner's arrival, and are duty-free. Requirements may change, so it is better to check with the authorities before travelling to Bulgaria. I have a pet to bring over. What do I have to take note? Can foreigners own a property and what are the paperwork involved? How much does it cost to rent an apartment in a decent neighbourhood? Should I open a local bank account and where can I do so? What are the important driving license and traffic regulations? Who can I call during emergencies? Is the medical care in Bulgaria adequate for pregnant expats?